Montville Tennis Club Inc – A Lot To Talk About! Scone Time – The New Social Scene for Seniors! Montville History Group – 2019 Gets Off To A Great Start! 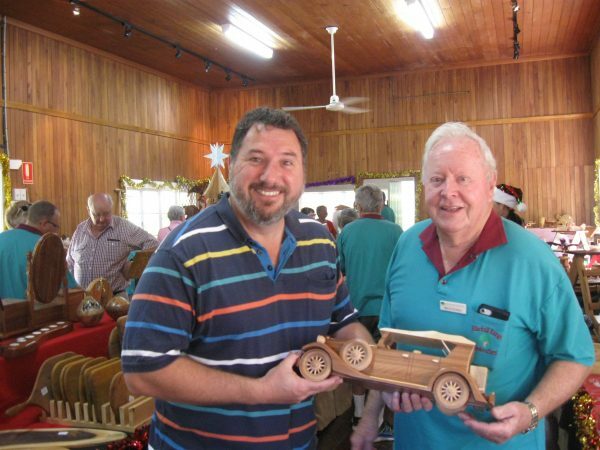 Woodies – Blackall Range Woodcrafters Guild Inc.
On Thursday, 1 November, the Blackall Range Woodcrafters Guild donated a large number of children’s tables and chairs and wooden toys, all made by members of the Guild, to Wishlist. 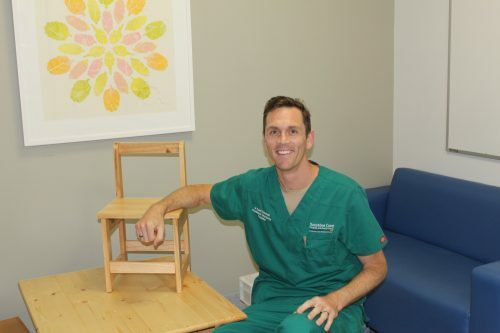 Wishlist is a not-for-profit organisation that fundraises for the Sunshine Coast Hospital and Health Service. The children’s tables and chairs were made by Brian McTaggart, the table tops were made by John Drew and the whole lot were finished off by spray painter Dave Banister. The toys were made by the Woodies’ own Toy Boys. 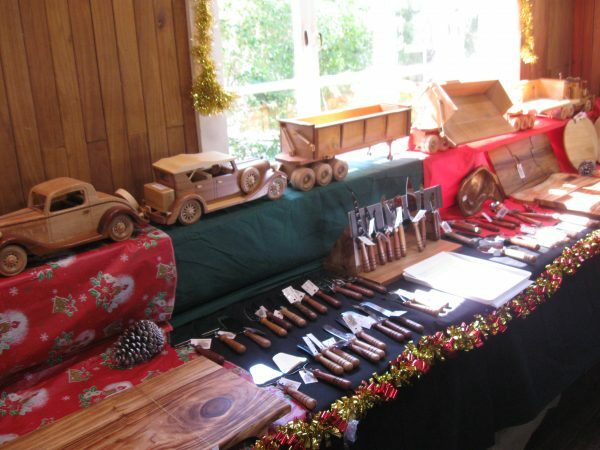 On 1 and 2 December the Woodies opened up Santa’s Shop at St Mary’s Hall on the Montville Green. The Woodies have been busy little elves these past few months. A steady stream of people passed through the hall, several purchasing items made by the Woodies. A large number of families enjoyed the cooler evening on Saturday for the lighting up of the tree and for the visit by the bearded gentleman who handed out gifts to the many children. The Woodies also conducted a very popular sausage sizzle which was well-patronised. The raffle prizes were smaller in size this year, making it easier for the winners to carry them home. All prizes were items made by members of the Guild. Visitors on Saturday included Councillor Jenny McKay, State Member Andrew Powell and Federal Member Andrew Wallace.